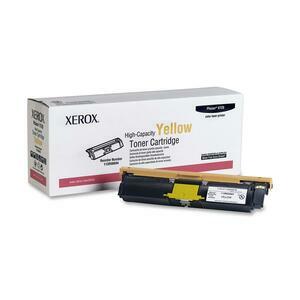 Toner cartridge is designed for use with Xerox Phaser 6115MFP and 6120. Toner is specially formulated for increased print consistency and continuity even on rough papers. High-capacity toner cartridge ensures extraordinary print quality, superior reliability and competitive cost-per-page. For performance, reliability and quality you can count on page after page, Genuine Xerox printers and supplies are made for each other. Cartridge yields approximately 4,500 pages.